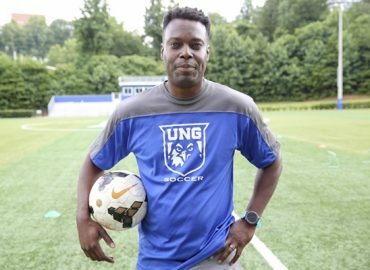 Nearly 40 head coaching soccer jobs became available from December to now, and to date, only one person of color has been hired as a head coach, that was Bo Oshinyi who so happened to transition from East Tennessee St. University to Dartmouth University. Read more on how the NCAA continues to have major hiring flaws in their system. It’s undeniable that the National Collegiate Athletic Association (NCAA) has had its issues over the years. Not only do its athletes consistently generate millions of dollars for their colleges and associations without any compensation, but it is also notorious for working with the National Basketball Association (NBA) to ensure that basketball players play for at least one year before they obtain eligibility to play professionally, therefore generating more revenue for their association. In December, while compiling a list of the number of programs in the NCAA, another issue caught our attention. Despite the 35% of active Black, Latino, and Asian soccer players in the NCAA, there was a significantly noticeable lack of diversity with regards to the individuals who currently hold head coaching positions. Having a former Data Analyst on our team who is still very active in the youth soccer system, we were compelled to gather data on the demographics of head coaching positions in the NCAA. The purpose was to generate a list of all 1,862 NCAA college soccer programs throughout the country to determine how many minority coaches currently hold head coaching positions. The data that we compiled presented strong evidence that unveils significant diversity issues regarding head coaching positions. At the Division I level, the highest level of the three NCAA Divisions, there were a total of 528 programs, of which white coaches, both male and female, totaling 475 combined hold 89.9% of the head coaching positions. There were only 25 black head coaches (4.7%), 18 Latin head coaches (3.2%), and 6 Asian head coaches (1.14%), and even more concerning were the number of minorities in Athletic Director positions. Of the 326 Athletic Director positions in Division I, only 20 were Black. Not only were these numbers disturbing, but they also contradicted the association’s mission that “The NCAA believes in diversity, inclusion, and gender equality with all personnel working within the NCAA organization (National Collegiate Athletic Association, 2010). The NCAA wants to have administrators, coaches, and student-athletes of different backgrounds to meet and enhance the cultural needs of the universities and NCAA (National Collegiate Athletic Association, 2010)”. *The data for Division I is as of January 15, 2018. The number of minority head coaches continued to decline at the Division II level. Out of the 480 Division II programs, white head coaches totaled 429 (89.38%), while black head coaches totaled 16 (3.33%). Out of the 16 black head coaches, 10 held positions on the women’s side, but there were 0 female black head coaches. At the Division 2 level, head coaches held onto their jobs for an average of 13 years, with 43 of the coaches (all white) who held positions since the 1980’s and 1990’s. *The data for Division II is as of February 5, 2018. 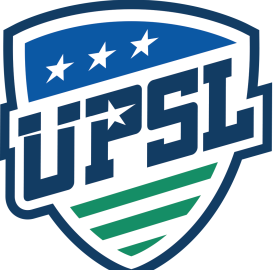 The number of Division III programs nearly totaled the number of Division I and II combined. Of the 854 Division III programs, white coaches held 779 of the head coaching positions (91.22%), while the total number of black head coaches saw a slight uptick from Division II totaling 30 black head coaches (3.51%). *The data for Division III is as of February 13, 2018. The data was presented to over 150 black NCAA coaches who currently coach in the NCAA system as head coaches or assistants. Each one shared the same sentiment, that the NCAA must be more efficient and expend more effort to ensure that they are providing equal coaching opportunities. United States Soccer Federation (USSF) Licensing and its cost was a hot button topic at the recent Annual General Membership meeting in Orlando in early February, where six candidates vied to become the next US Soccer President. The winner and former USSF Vice President Carlos Cordeiro, also stressed that the Federation must lower its cost in order to attract the best coaches in the country to obtain the highest licensing. When a position becomes available for a head coaching position, many Athletic Directors will first look at the candidate’s experience as an assistant in the NCAA, and if most of the assistants are white then it becomes even more of a challenge for black assistant coaches to at least get an on campus interview. Most Athletic Directors do not have soccer experience. Therefore after reviewing the coach’s licensing, they then look at his or her experience, and if you do not possess either, an interview would not be worthwhile. 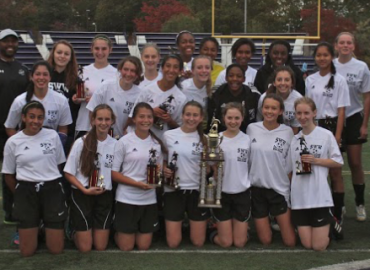 A prime example is Kai Edwards, a USSF “A” Licensed coach for in the NCAA for over 15 years, most recently as the Women’s Assistant Head Coach at the University of Michigan. Despite his experience, he has been unable to acquire an opportunity for an on-campus interview as either an Assistant or Head Coach. This winter, nearly 40 NCAA head coaching positions became available, and although Kai applied and was arguably the most qualified candidate, he has yet to acquire an interview. Implementing new policies for hiring practices at the NCAA level similar to the Rooney Rule in the NFL would be a start to addressing the lack of diversity in head soccer coaching positions. However, if a rule is adopted, the NCAA may not have the resources to police all 1,862 NCAA soccer programs. In addition, if the rule is implemented, then it must be enforced for all NCAA sports, which total close to 20,000 programs. Thanks for the information. As a black coach I think it’s important that we have support for each other. We need to bring awareness to this issue and lift each other up.